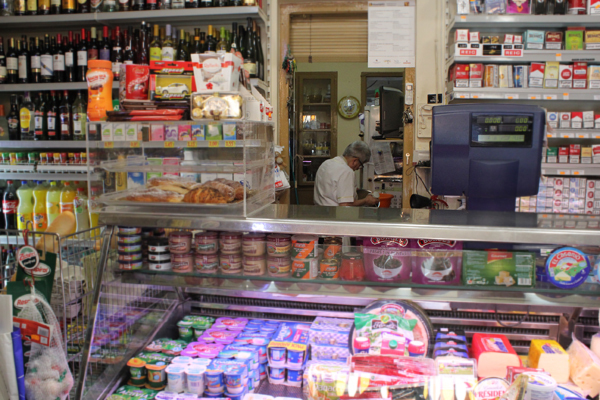 When Carnival arrives, Rosor, the owner of the most popular shop in Vilajuïga that is also the gossip epicenter of the village, starts getting ready with ingredients and implements, and most importantly, lots of energy. The season of brunyols, a type of Catalan beignet, is starting. Up until Easter, every weekend you can find brunyols at her general store and, during the Easter holiday you can find them every day. During these dates she puts the wheels in motion so that many homes can enjoy her wonderful brunyols. During the lunch break, when the store is closed, the brunyol frenzy starts in the back. Rosor is in charge of making the dough but she has a team of other women, such as her sister Glòria, to complete the process as a well-oiled machine. One gives the brunyols shape, the other fries them, and yet another dips them in sugar. 1. To start, grate the peel off all the lemons and put it in a bowl with the powdered anise, sugar, vanilla, and salt. 2. Meanwhile, boil the aniseed in ¾ of a liter of water. When it has boiled for a little while, drain the seeds and add it to the water infused with butter and the ingredients that had initially been mixed in a bowl. Then add the glass of anise. 3. Beat the eggs and add them to the mix of ingredients, making sure the water is not too hot as the eggs would then curdle. 4. Then add the baker's yeast after melting it in cold water. 5. Start adding flour to the mix little by little. 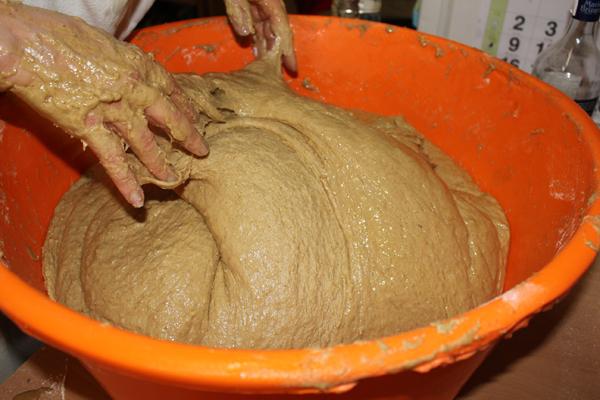 We have to mix and knead the dough as we go until it obtains a compact aspect similar to that of bread. When happy with the dough, add a little bit of oil on the edges of the mixing bowl so that the dough doesn't stick to it and then adopts a nice round shape. 6. Let the dough sit for a couple of hours. 7. When the dough has raised, it's the moment to fry the brunyols, giving them a round shape and making sure that the center is thinner than the edges. Fry them in a pan filled with hot oil. As you can see, Rosor is very talented making the brunyols! If it's your first time, don't be discouraged as they won't be as easy to make, you just need practice. 8. At the end, after letting them dry up from frying, roll them in sugar and let them sit for a little bit. There's only one thing left to do: enjoy these fantastic Empordà brunyols with a good sweet Grenache or Moscatell that you can find in our cellar!